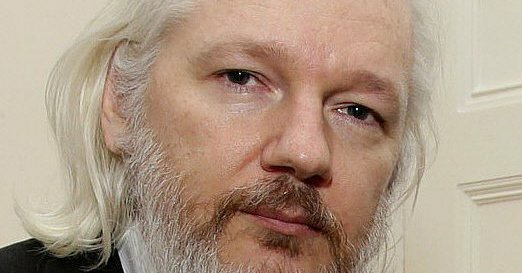 WikiLeaks' founder Julian Assange has been charged under seal, prosecutors inadvertently revealed in a recently unsealed court filing, reports The Washington Post. The disclosure came in a filing in a case unrelated to Assange. Assistant U.S. Attorney Kellen S. Dwyer, urging a judge to keep the matter sealed, wrote "due to the sophistication of the defendant and the publicity surrounding the case, no other procedure is likely to keep confidential the fact that Assange has been charged." Later, Dwyer wrote the charges would "need to remain sealed until Assange is arrested." Dwyer is also assigned to the WikiLeaks case. People familiar with the matter said what Dwyer was disclosing was true, but unintentional....On Thursday evening, Seamus Hughes, the deputy director of the Program on Extremism at George Washington University who is known for scrubbing court filings, joked about the apparent error on Twitter — which first brought it to the attention of reporters. When they haul him in this will be the real watershed crossroad of the death of independent media voices which is the whole point.